Welcome to the donothing® Podcast with Rob Dube where we explore how mindful leaders create extraordinary cultures that impact their teams, communities, and ultimately the world. 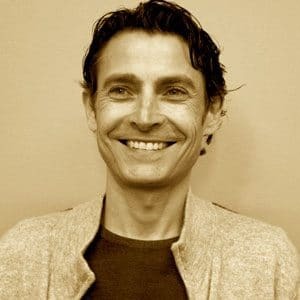 I’m Rob Dube, president and co-founder of imageOne, author of the book “donothing®” and host of the donothing® Podcast: how mindful leaders create extraordinary cultures. I was curious, how can we as leaders continually deliver an extraordinary experience to our team members? I’ve had the good fortune of having many wonderful mentors in my life, and I’ve noticed one common thread. They are servant leaders focused on awareness and presence. Being in the moment and being a lifter-upper. Thirteen years ago, I decided to donothing® – or said differently, take on a meditation practice to help me with my anxiety and to settle my mind and practice awareness. It served me well. My company imageOne was ranked by Forbes magazine as one of the “25 Best Small Giants” in America, and I don’t believe that anyone can really lead effectively unless they have a personal practice that allows them to be their best self every day. So I’m going to interview leaders from around the world to learn how they donothing®, the disciplines and practices that ensure they fully show up every day and to learn about their journey to servant leadership, the struggles they’ve faced in their lives, and how they’ve broken through. We are going to dig deep together — that I can guarantee you. This podcast is for leaders really in any space, whether you’re an emerging entrepreneur or a seasoned executive, a leader in the community, or an elected official. You will want to listen. You’re going to walk away with two or three nuggets from every interview; simple, impractical, and you’ll be able to incorporate them into your leadership philosophy right away. This is next level leadership. It’s deeper, and it’s vulnerable, and once embraced, you’ll be upping the ante on delivering the extraordinary experience to your team and to the people around you in your life. Welcome to the donothing® Podcast with Rob Dube where we explore how mindful leaders create extraordinary cultures that impact their teams, communities, and ultimately the world.